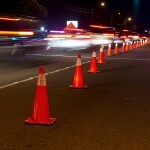 Driving under the influence – DUI – is by far the most commonly charged crime in the legal justice system today. It is a difficult charge to challenge; prosecutors have breathalyzers and other “scientific” evidence they can offer jurors, and jurors themselves tend to trust prosecutors and “science” while distrusting defendants. Prosecuting and defending in DWI cases is far more complex than it was only thirty-five years ago. If you’re charged with DWI in southern California, you’re going to need an attorney who focuses on DUI and related charges to the exclusion of other fields of law. 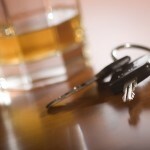 You need an attorney who routinely handles DUI cases and stays abreast of current DUI trends and developments. 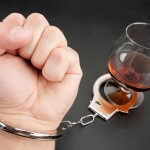 You’ll need to call an experienced Orange County DWI attorney as quickly as possible. Obviously, in the last three-and-a-half decades, awareness of DWI has substantially increased. Motivated by the constant hectoring of the media and lobbies like Mothers Against Drunk Driving (MADD), lawmakers in every state have provided prosecutors with new and tougher prosecutorial tools. When you’re charged with DUI, you need a DWI defense attorney who understands these tools and knows how to counter them. The truth is that in the last thirty-five years, states have invented a new crime: driving while having a blood alcohol content (BAC) level of 0.08 percent or higher. This crime, which is typically charged along with the “traditional” DUI violation, has nothing whatever to do with whether you were actually intoxicated or whether your driving was impaired. Another truth is that it’s realistically impossible to precisely determine anyone’s BAC level; breathalyzer devices once considered “state of the art” are now considered anachronistic, inaccurate and useless. Today’s breathalyzers may well be considered inaccurate and useless in another ten or twenty years. As DWI cases grow in complexity, the possibility of mistakes by police officers and prosecutors grows as well. If you’re charged with DWI in Orange County, immediately call an attorney who has abundant DUI experience and knowledge. 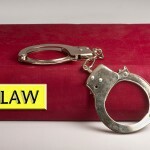 Call a skilled, trustworthy Orange County DUI attorney immediately after any DWI arrest. It’s vital for your attorney to be on the case as early as possible, so do not wait to make the call.